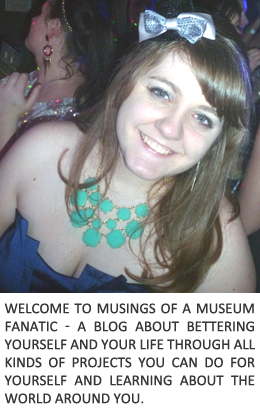 Musings of a Museum Fanatic: Back to the Future Day!! I'm sure you've seen the articles and posts already talking about how October 21, 2015 is Back to the Future day. Not often do we have a movie that is set in the future that actually arrives during our lifetime. Well at least during my lifetime! I love looking at the movie and seeing what people thought it would be like today back in the 80's. Some things were definitely on the money ... some were not. So I'm pretty sure if movie signage did this I would pee my pants all the time. I couldn't even handle horror films with something like this going on. I could definitely get down with the whole hover board thing. You have to admit a lot of today's boards are moving more towards looking and moving like the hover board in the movie. It's only a matter of time! Plus it will give them time to figure out that whole pesky over water issue. If re-hydrated food looks like that pizza I'm game. So far I've only tried re-hydrating stuff like dried fruit. Let's just say it was not a successful attempt by any means. Video chat! That is one thing Back to the Future got totally right. People in long distance relationships everywhere thank the person for coming up with video chat. Google glasses have made video glasses a thing that might actually be available for the general population soon. While shoes that lace themselves up would be pretty wonderful, especially in the morning when bending over seems like the hardest thing in the world. I'm not a fan of the fashion going on in Back to the Future's 2015. Although is it irony that 80's styles are back in 2015? We've had hologram performances by Tupac and Michael Jackson. I'm sure it's only a matter of time before there are more. I'm actually kind of surprised that Disney hasn't done something like this with Walt! One thing was totally wrong in the movie is the heavy reliance on the fax machine. Do people even have fax machines anymore? I know someone in our IT department who didn't even know what the term "facsimile" meant. For now pull up your Google hang outs and celebrate Back to the Future day with your favorite person via video chat because it's 2015 and you can!